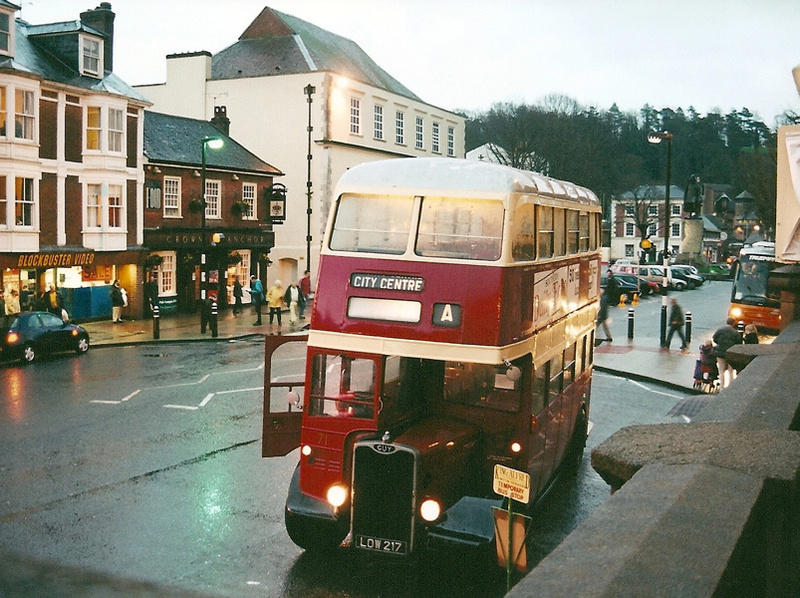 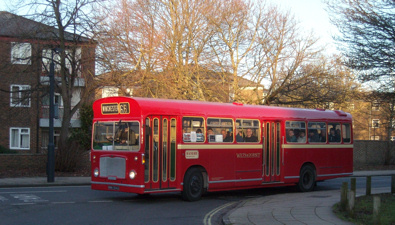 Once a year, for one brief day only, King Alfred buses return to the streets of Winchester. 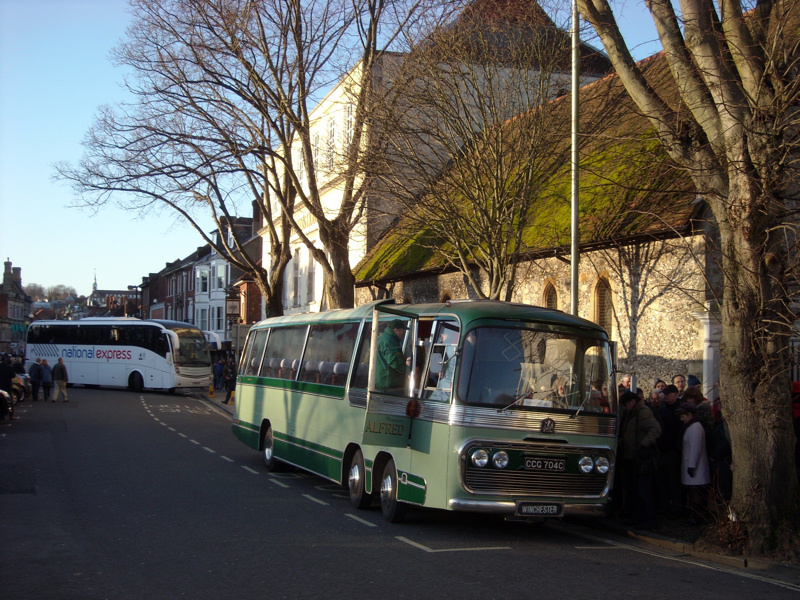 Like the mythical Brigadoon, which reawakens once every 100 years, King Alfred buses roar through the streets of their native Winchester every New Years Day. 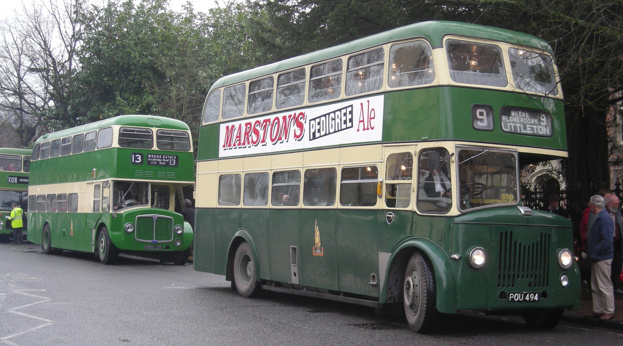 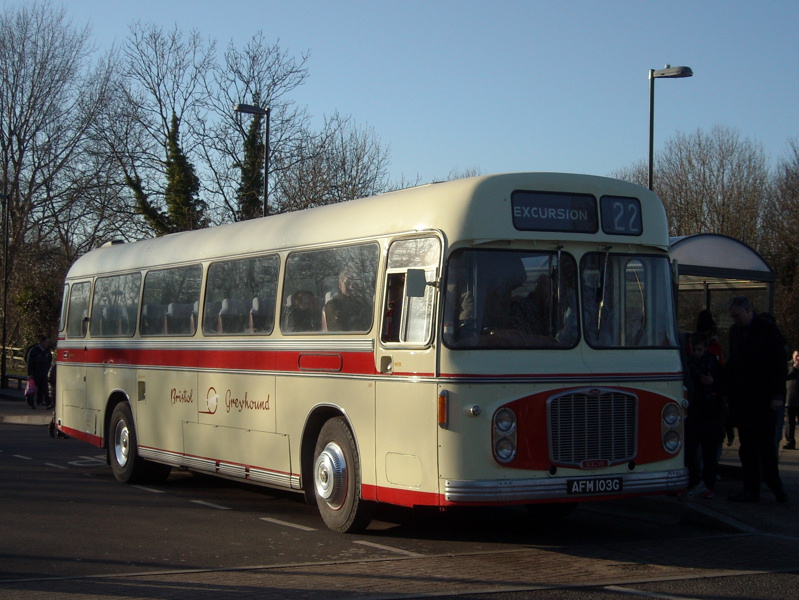 Thanks to FoKAB (Friends of King Alfred Buses), a running day open to the public has been organised since the mid 1980's to commemorate the former company that ceased to exist in 1973. 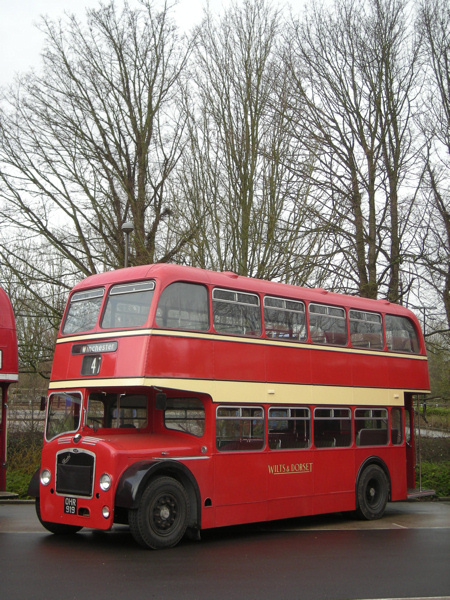 At each event a fine variety of King Alfred vehicles (above) is joined by other other preserved vehicles nearby (left). 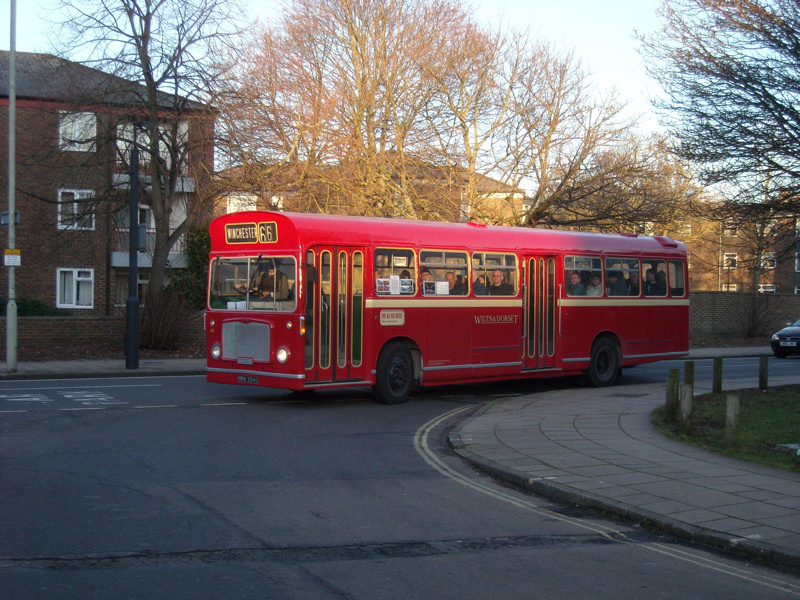 The day is entirely timetabled allowing enthusiasts and the public to choose which vehicles or routes they would like to sample. 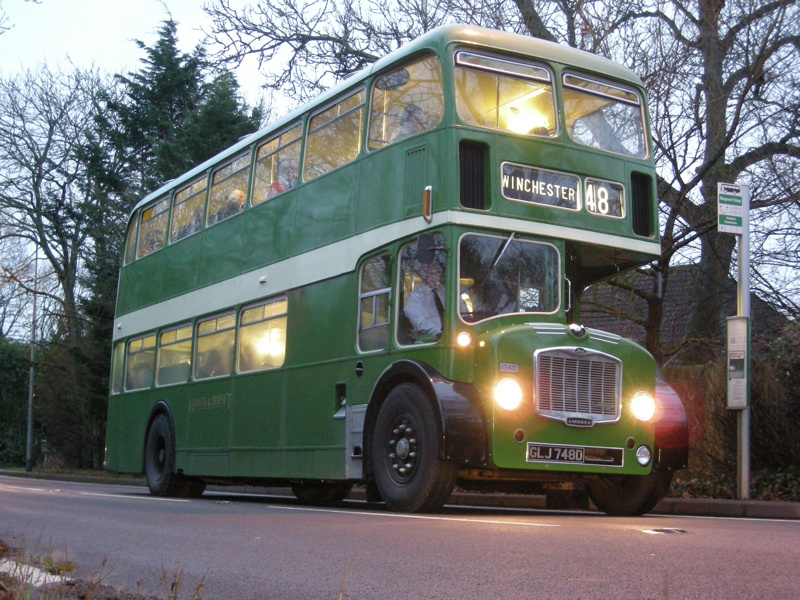 One of the highlights is evening running (top left), when photographers can capture buses at twilight with their interior lights ablaze. 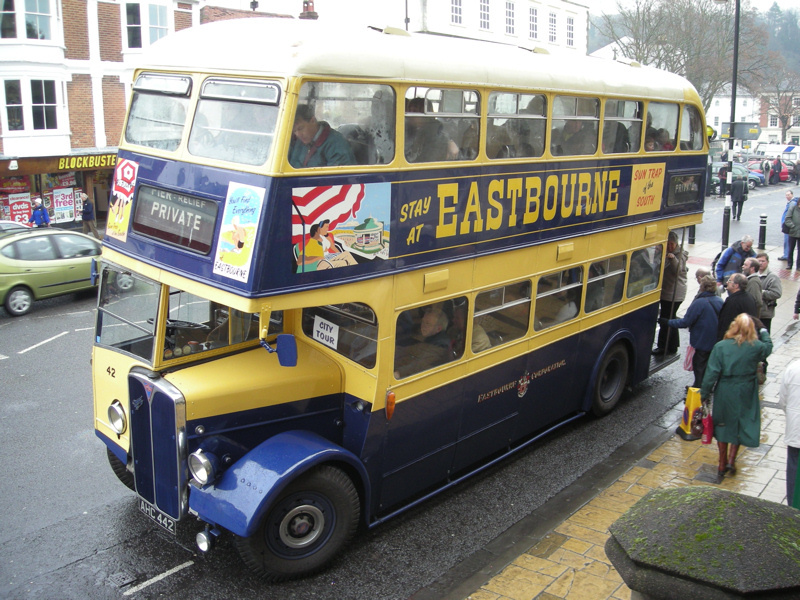 The event has grown considerably in popularity since it first began with thousands of enthusiasts and members of the public descending on Winchester (below right). 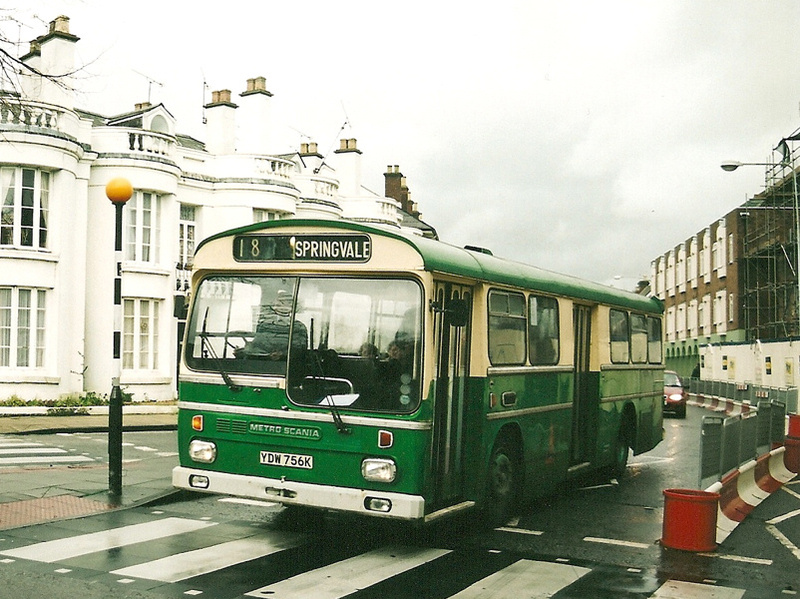 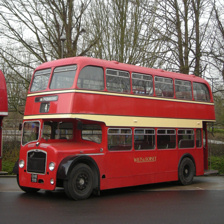 The other local operator Wilts/Hants and Dorset is also usually represented with examples from the 50s (bottom left), 60s (bottom middle) and 70s (bottom right). 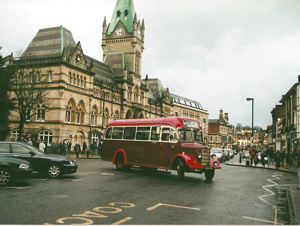 The day is a perfect antidote to any excesses from the night before, and brings back many fond memories for those who remember when King Alfred ruled in Winchester. 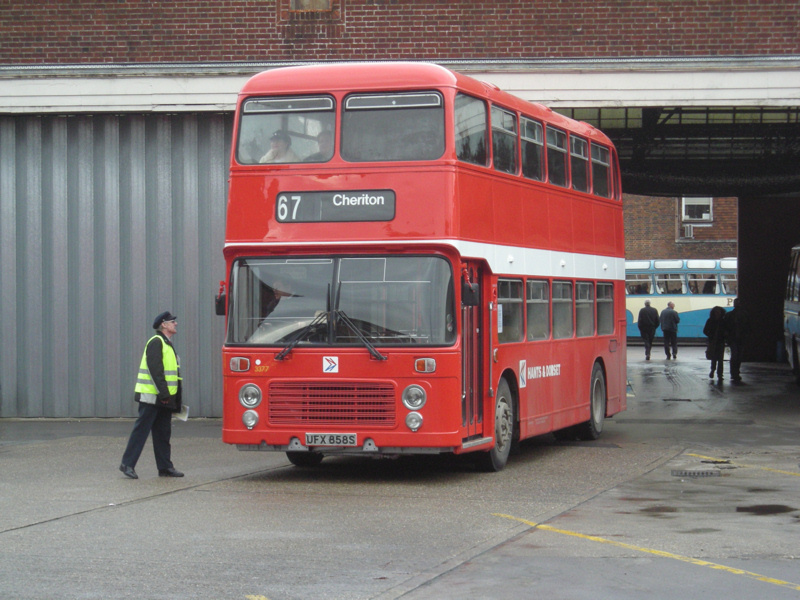 xxxxxxxxxxxxxxxxxxxxx Click to enlarge photos. 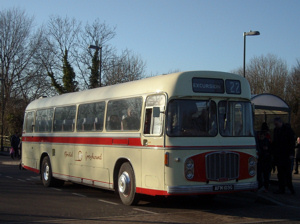 Silver Star 1013MW, a Weyman bodied Leyland Atlantean in the late afternoon sun at Winchester in January 2010. 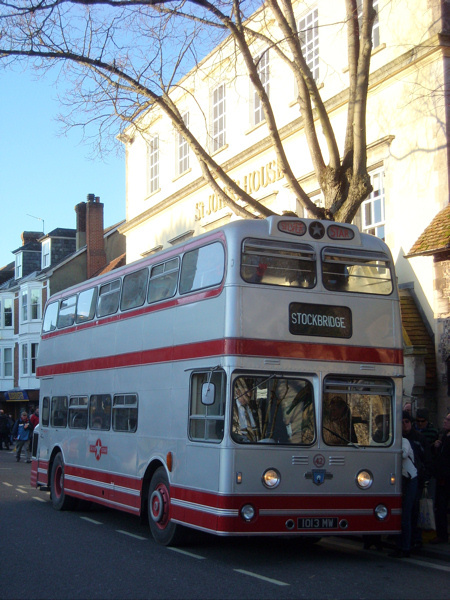 Silver Star operated services around the Salisbury area until 1963. 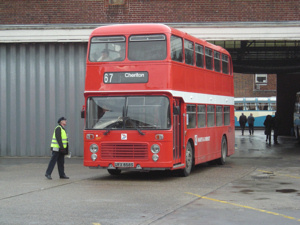 YDW756K, a Metro Scania that originated with Newport but has been restored in King Alfred livery in Winchester in January 2003. King Alfred operated a small fleet of these vehicles. 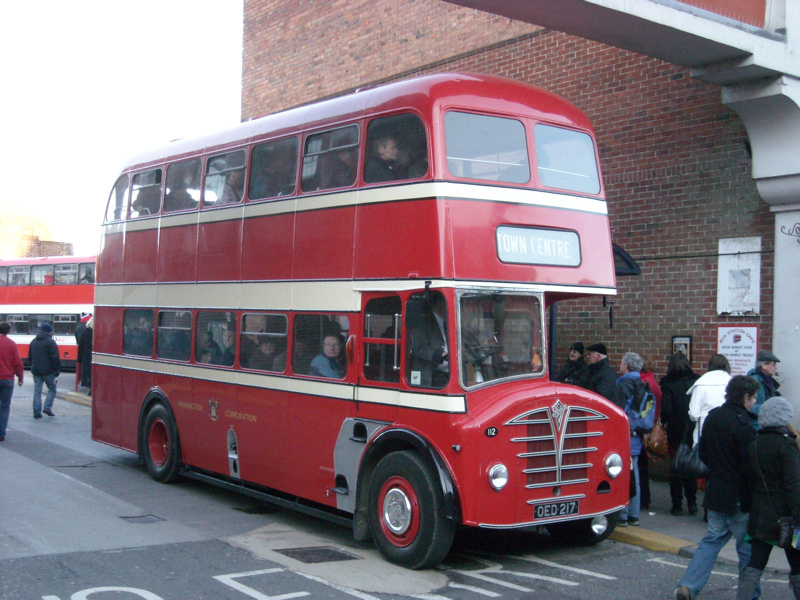 Warrington 112 (OED217), an East Lancs bodied Foden, leaving Winchester bus station in January 2010 with a full load.